I wrote lots of recommendation letters for students this summer, probably because last year was the first year that I taught students in their final undergraduate year, and many of them are looking for or have recently found jobs. I always die a little inside when I read or hear the word “employability,” because I think it’s a jargony term that seems to reiterate the point that a university sells a degree to its customers, the students. I do not think that education should be viewed as such a service, but neither do I think that it’s responsible to entirely eschew discussions of marketable skills that students can mention in their pre- and post-graduate job searches. Not all of them will become professional historians, and given the state of the academic job market, that’s okay! I spend time at the start of each term, in class and in my syllabi, explaining why I think it’s important for students to participate in class discussion. One of my key points is that a student’s class contributions are something that I can and do mention in my recommendation letters. Having spent the summer writing letters for recent graduates I know that I’ve mentioned their contributions in every single letter I’ve written. Lately, my feelings have gone beyond believing that students should participate: I think students should lead discussion. It’s important for students to lead and otherwise control the direction of class discussion for a couple of reasons. For one thing, I’m kind of over the feeling of walking into a classroom determined that we’ll discuss certain points about the reading. Yes, there are usually several, fixed ideas that I want students to take away from a primary or secondary source, but A) if we don’t get to all of them, I can always wrap things up during the last minutes of seminar, and B) I’m increasingly more interested in students’ takes rather than making sure they internalize my own. On a practical level, I make students lead discussion because it gives me the chance to witness the leadership skills that I’ll write about in those recommendation letters. Now, I’m not saying that students should be responsible for leading discussion in every single seminar, and in fact I only make final-year students lead one half of a seminar on one of the two days per week that the class meets. There are variations on the students-leading-discussion theme, and what I want to do in the remainder of the post is to go through three methods I use at all levels of a student’s degree. This method is one that a professor in graduate school used, and I’ve incorporated it into all of my classes. It’s pretty simple. At the start of each seminar, each student makes a 30-second-to-a-minute-long comment on the reading. The prompt they’re answering is one that I’ve set on our first day of seminar. I tell them that they shouldn’t talk longer than a minute, then tell them that what they say A) Can be a question they still have about the reading, B) Can be a comment about something they found surprising or confusing, and C) In later weeks of the semester, can be about something that connects to previous weeks’ discussions. Why it works: From week one, all students know that they should expect to speak at least once during seminar. Shyer students have time to prepare for it, and it’s useful in telling me and the other students where most of us want to focus our discussion. I do it because, as an undergraduate, I sometimes left seminar feeling like I hadn’t gotten to say what I wanted to say about a reading. This exercise helps to put a pin in that sort of feeling, and in the later weeks of the semester, it raises the stakes by encouraging connections between the weeks. I’m pretty sure that I stole this one from a colleague, but am not sure where he got it from. Here’s how it works: you ask students to take out a scrap of paper, and to write a question on it. The question can be a legitimate question they have about the reading or about a lecture, or it can be a discussion question they want other students to answer. All the strips of paper go into a bag (or a hat, or whatever vessel you have in the room), you or a designated helper draw one and read it aloud, and then the class answers the question. Why it works: no one has to feel silly about asking a question, because they’re anonymous. Students can control how much time we spend on a given question, though I can prod them if I don’t feel we’ve delved deeply enough. This is a good method to use when you’ve read a confusing or polemical text, but it’s also my favorite go-to when I haven’t had as much time as I’d like to lesson-plan. This class has no lectures, though there may be moments during which I provide some necessary background on the readings. Each week we will have two, two-hour seminars. I will lead the first seminar, which will focus on an interrelated set of secondary source readings. The second seminar of the week will run a bit differently than some of the other seminars you have encountered during your time at Southampton. During the first half hour of the second seminar, you will not hear me speak. Instead, student seminar leaders will choose to run the class in whatever way they wish—unconventional seminar formats are encouraged! . . . In the second half of the seminar I will jump in to make sure that everyone takes away what they’re meant to take away from the readings . . . During the week when you are a discussion leader it is your responsibility [72 hours before class meets] to use Blackboard to send an email to me and all of your classmates, with a list of potential discussion questions for the second seminar. You are then welcome to drop into my office hours (see the front of this handbook for details; if you are coming during office hours then you do not need to make an appointment) to discuss your strategy for leading class discussion—this is not a requirement, but you are very welcome to do so. Remember: you will be responsible for leading and maintaining class discussion for the first half hour of the second seminar of the week. Why it works: Students get to take charge of their own learning! I pick up new seminar strategies! Democracy prevails in England! Also, my quiet observations really do give me a chance to jot down notes on a student’s leadership strategies, in the likely event that I will be asked to write about them in a recommendation letter. There are a few key practices common to all of these approaches. The first is that some advance preparation is necessary. In the first method, students know they have to come in with a quick comment, in the second, students do the prep during the first 5 minutes of class, and I need to be prepared to talk about whatever questions come up that the class can’t answer, and in the third, student discussion leaders need to be three days ahead of their classmates in the week that they lead discussion. The second commonality is that in each strategy I try to introduce some form of record-keeping. When asking students for their introductory points, I tend to write what they’re saying on the board so that similar comments can go together and so that we have them behind us as we push deeper into discussion. When student seminar leaders in upper-level classes take their turn, I encourage them to record classmates’ comments in a document, which I then upload to Blackboard at the end of the seminar. Students find these records useful when it comes time to study for final exams. The last connection between these strategies is that they all try to take into account the different types of students in my classes. During heavy weeks of reading/essay assignments, I try to accommodate the stressed student by putting discussion leaders in triples; for shy first years, I try to give them time to prepare or to help me to read questions; for keen third years, I give them the chance to plan a debate or a game show-style seminar. These are a just a few ways that I try to set students up to behave in ways that I can write about in recommendation letters. 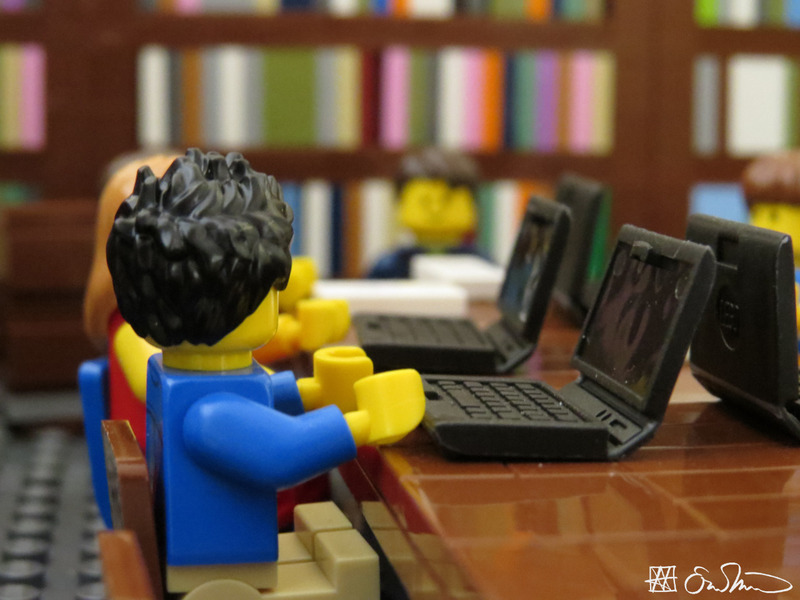 Readers, what are your seminar tips and tricks? I do “going around the table” in pretty much every seminar, but I’ve never even thought of approach #3 before. Definitely going to introduce it in my “meaning of freedom in American history” classes now. Will let you know how it goes! Yes, do! I usually pair the Year 3 exercise with the database exercise I blogged about here: https://earlyamericanists.com/2016/04/25/teaching-with-databases-an-early-american-atlanticists-conundrum/. Student seminar leaders have to lead discussion for the first 30 minutes, then do the database tour, then we break, and then I take over. Toward the end of the year student-led seminar time expanded from 30 minutes to a full hour as students got more confident, which was awesome to see. I do kind of love having the year-long class; so much more time to develop rapport! I’m using a version of #1 that’s working well in a small seminar (10 upper-level undergrads): instead of one reading or set for the entire class, I’ve divided the class in half and have group A explain their readings to group B and take questions from B, then the reverse. #2 should work well even for freshman survey classes; I’ll have to try that one. Thanks! Your first is a good method, and I usually do some version of this in my year 3 class on the days when I’m leading seminars on historiography. Good luck with #2! Phenomenal! I loved the three (3) simple ways that you integrate your students into discussion. The idea that they are in charge of their learning… as a high school AP US History teacher it is one of my top goals for my students..To Do History… create their own narratives… and you have to start somewhere… I am so excited to practice these ideas 🙂 Thank You! These are all excellent ideas. This one is sort of similar to 1 and 2: The last day of a seminar, I had students each bring in two questions about the course that they still wanted the group to discuss. They wrote them on the board and we went around the room answering each question or, if we were stumped (by a very big or very specific question), brainstorming ways we would go about finding the answers. The exercise provided a nice wrap-up to the class, suggested avenues for students to continue engaging with the material, and required very little prep from me at the crazy end of the semester. This is a great idea, Carla. I wonder whether it would work well, too, mid-semester, as a way of gauging everyone’s engagement at the halfway mark, which can also be a super busy time. Then that way at the end of the semester you don’t have to try and cover everything. That’s a great point–I’ll have to give it a try mid-semester next time! This is really useful for me, thanks. I teach high school, but have a couple classes that I’d like to see take a greater lead in responding to assignments; the first two of these options both seem well suited to the setup of our school and class. I’m curious about how you motivate students who might be less willing to participate regularly. Are you formally assessing within discussion (maybe this is more prevalent at the high school level than university)? I have students who would be pretty hesitant to jump into open conversations like these so I’m curious. It’s common to assess presentation in U.S. institutions, but we don’t do it at my current British institution (I wish we did). My tendency with hesitant students is to use method #1 to draw them in. I try to make special note of these students’ responses, and refer back to them by name as discussion gets going. Sometimes I will deliberately mis-state their original comment in a very polemical way if I’m really having a tough time drawing them out. IE, “would it be fair to say that you think [the exact opposite of the thing you said at the start of class]?” Sometimes that works. Other times, these students will be better at the non-verbal activities, so if we’re doing a role-playing activity that involves motion or whatever, I’ll try to make sure that they’re involved. And if the class is split into groups, when I’m going around and checking in on the individual groups I’ll ask those students for a report. Hope this helps! I use the flipped course method (US History Survey) and break the students into groups. I have all my courses using group methods of varying kinds and provide questions for them to work with and answer as well as developing presentations which they deliver to the class. I have found getting them to engage in open class discussions ala an old method classroom setting is a gigantic crapshoot. I require students to sign up to lead X number of discussions per semester. They have to bring 3-4 questions to ask their peers. With the right mix of students and readings, I rarely have to lead discussion and can simply interject thoughts or more complex questions. When students are less confident or don’t prepare like they should, I talk more. It’s completely changed the classroom atmosphere and has helped bond the students because they discuss the readings even before class starts.